There is technology and technology everywhere, we talk technology, we walk technology and we even breathe technology. It is overpowering us somehow or the other because even an infant is born in the world of technology where people have reached over the moon, where water is found on Mars, where rockets can take you to the mountains insurmountable, where discoveries are phenomenal, where the world is running on machines and everything is only a matter of spoon-feeding. Yes, we proudly say now that we have robots in the shopping malls in japan that even serve in the restaurants now is some countries. What would you expect more from a scientist or a tech expert other than to surprise us to the maximum? Every other day there is a new launch of a cellphone, smartphone, laptop, camera and much more. Now people are taking technology way too seriously and are investing way too much in this prospect. Well do invest if your pocket allows but make sure whatever you spend your money on, must deserve the investment. As HTC is very much in demand, it is selling its new smartphones round the clock. People are actively taking interest in its reviews and are involved in switching to HTC as it claims excellence and quality. With some surprising features HTC offers a very beautiful smart body of the as well. Have you checked out HTC 10 as yet? If no, then you should be looking forward to it. This smartphone is a world in itself with an amazing camera to capture the world around you. It takes up photography, talk time and brilliance to some other level. 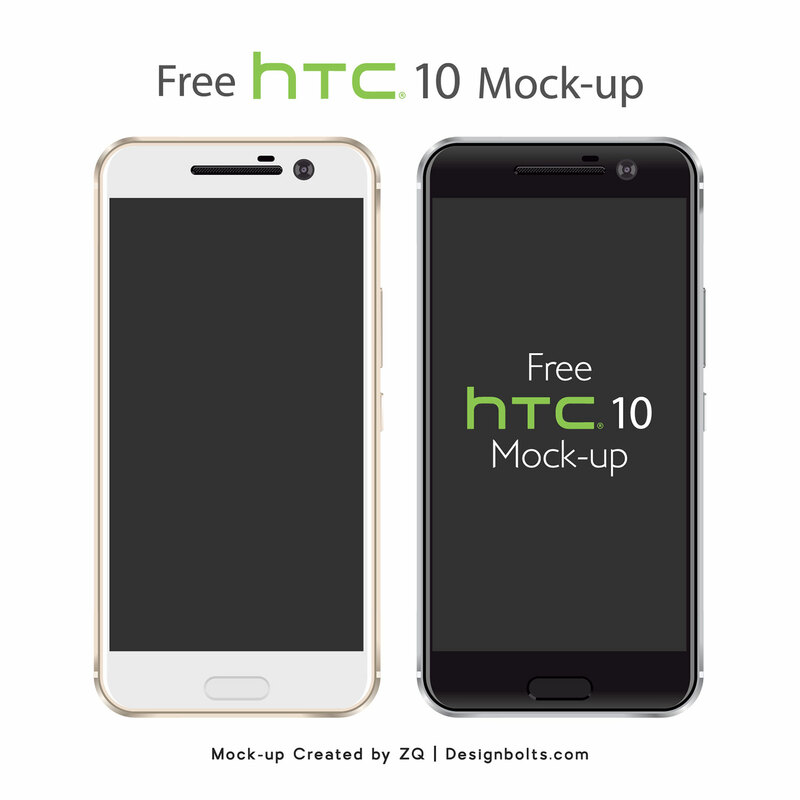 Today I designed a free Vector HTC 10 mockup that you can use in your personal projects. Have a look at it. Stick around for more posts in future. We love to unleash the trendier stuff that you look up to, either art, design or tech, we try our best to accumulate the fantastic ones for your interest.